The island has fresh air, many tourism resources including sea food, and offers a natural undeveloped environment. It also boasts an advantageous location, as waters from the Yangtze River, Qiantang River and the Kuroshio, a warm ocean current, all converge here. One can enjoy verdant trees, blue sea and pebble beaches under clear skies and floating clouds. Reefs near Baisha Island are an ideal place for creatures and sea-plants, such as goose barnacles, garouper and sea tangle. 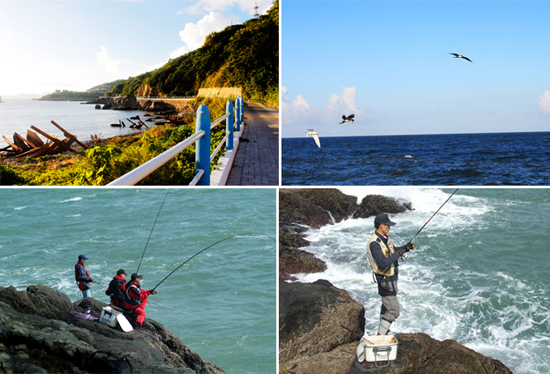 The island is also a paradise for offshore angling lovers and tourists who want to have a taste of fresh seafood. There are varying professional and recreational zones for different kinds of sea angling lovers, as well as antique boats for tourists to experience traditional seining. When walking along a plank road with cliffs on the sides, tourists can enjoy the sea breeze and the sound of waves, a gift of the purified and tranquil island. Baisha Island is also a simple fishing village. 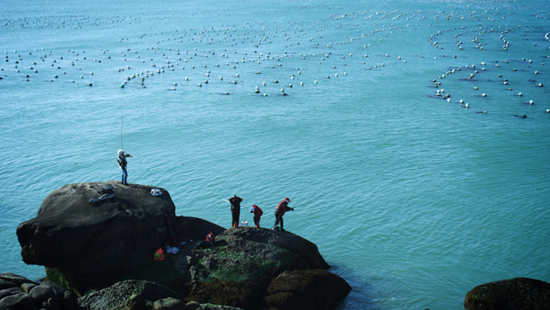 Its inns and restaurants give tourists a different life experience filled with Zhoushan marine culture.